NEW ORLEANS—Composer Terence Blanchard and librettist Michael Christofer have created a knockout. Champion: An Opera in Jazz is the story of Emile Griffith, a gay man who wanted to create art and instead, through a twist of fate, is introduced to the boxing world, a “profession” many today believe to be outside of the sports world. 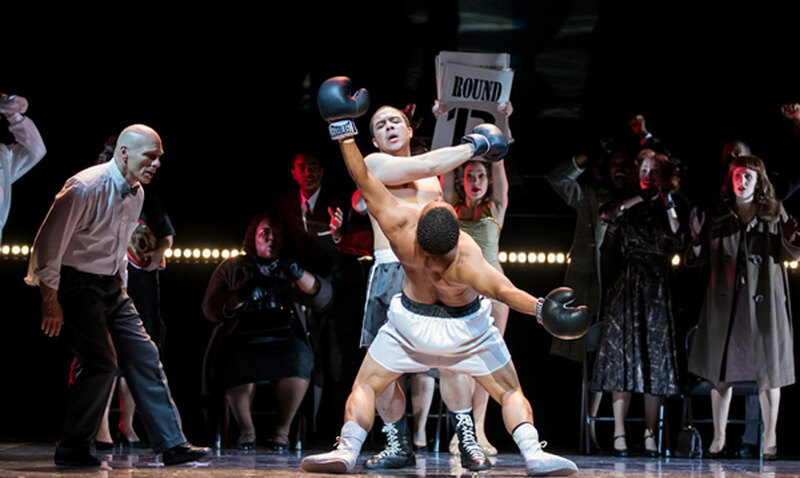 The premise of this wonderful production, which I saw at the Mahalia Jackson Theater in New Orleans in the Spring of 2018, is Griffith’s climb to the welter/middleweight championships and his living with the death of an opponent. If research bears me out, the opera has only been produced four times. It premiered in 2013 in St. Louis and has subsequently been performed at Opera Parallele in San Francisco, the Washington National Opera at the Kennedy Center in Washington, D.C., and New Orleans. Its forthcoming outing will be a short run at the Opéra de Montréal from Jan. 26 through Feb. 2, 2019. PW readers in La Belle Province de Québec are strongly urged to check it out. You will not be disappointed. Terence Oliver Blanchard (b. 1962) is an American jazz trumpeter, composer, and music educator. He started his career in 1980 as a member of the Lionel Hampton Orchestra, and has composed more than forty film scores and performed on more than fifty. 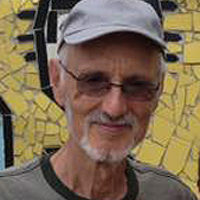 Since 2000, Blanchard has served as artistic director of the Thelonious Monk Institute of Jazz. In 2011 he was named artistic director of the Henry Mancini Institute at the University of Miami. In the fall of 2015, he was named a visiting scholar in jazz composition at Berklee College of Music. The opera moves ahead beautifully with a constant series of flashbacks that include a split screen of the boxing ring with actual film of Griffith fighting and sparring as a backdrop. The creativity is just another reason this jazz opera is a wonderfully moving experience. In the opening scene, an elder Emile Griffith is suffering from dementia, brought on by, among other things, blows he has taken to the head in the ring. The aria sung by the wonderful bass Arthur Woodley expresses the powerful man Emile remains, even as he is mentally diminished. “This is my shoe. Where does it go?” he sings. “It goes where it belongs.” Blanchard weaves the music and poetic words, with creatively choreographed dance sequences, to communicate a cohesive sense of the story. Emile Alphonse Griffith (born February 3, 1938, in St. Thomas, U.S. Virgin Islands—died July 23, 2013, in Hempstead, N.Y.), was a professional American boxer who won five world boxing championships—three times as a welterweight and twice as a middleweight. Griffith is haunted by the death of Benny “The Kid” Paret, a middleweight from Cuba who had fought Griffith twice, Griffith winning first with a knockout and Paret winning on a split decision. Leading up to the third fight, Paret had been taunting Griffith about his homosexuality, calling him “maricón,” a derogatory Spanish term, for at the time rumors of Griffith’s sexuality were circulating in the boxing world. Their nationally televised welterweight title fight at Madison Square Garden took place on the night of March 24, 1962. The outcome of this fight, in which an enraged Griffith knocked out Paret throwing seventeen blows in five seconds, put Paret in a coma. Twelve days later Paret died. There was much controversy around this fight: Should the referee have stopped it sooner? Further questions arose around Paret’s condition going into the fight. He may have already had brain injury from a former fight with Gene Fullmer, who knocked him out. In the New Orleans production, the choreography was by Sean Curran. Participating were the New Orleans Opera Chorus, Marigny Opera Ballet, and the Louisiana Philharmonic Orchestra conducted by George Manahan. Soprano Karen Slack portrayed Emile’s mother, with a true showstopper blues aria sung to the accompaniment of a single jazz line on the double bass. From El Gráfico, September 21, 1971. A highlight of the opera is the jazz quartet that breaks up the operatic score at timely intervals enhanced by the dancers and vivid staging. The opera includes a horrifying scene where Emile, 54 at the time, is attacked after attending a local New York bar known to be frequented by homosexuals. Five thugs set on him in 1992. He took a severe beating resulting in multiple injuries, but still managed to take a train home. The beating required him to spend four months in the hospital. His attackers were never captured and Griffith never recovered, his brain damage worsened by the blows from the cowards’ baseball bats. The Opéra de Montréal performs at the Salle Wilfred-Pelletier at the Place des Arts. For this production, Arthur Woodley reprises his role as the older Emile Griffith. Other roles are sung by Aubrey Allicock, Catherine Daniel, Victor Ryan Robertson, Brett Polegato, Asitha Tennekoon, Chantal Nurse, Sebastian Haboczki and Scott Brooks. George Manahan again conducts the score. The website for Opéra de Montréal can be found here. 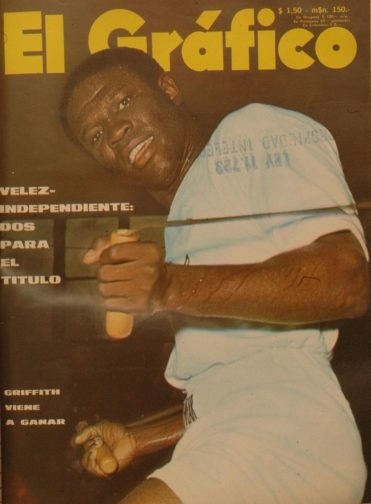 Emile Griffith’s obituary from The Guardian can be found here. PW reviewed the San Francisco production of Champion here. Tina Nannarone and Eric A. Gordon contributed to this review.